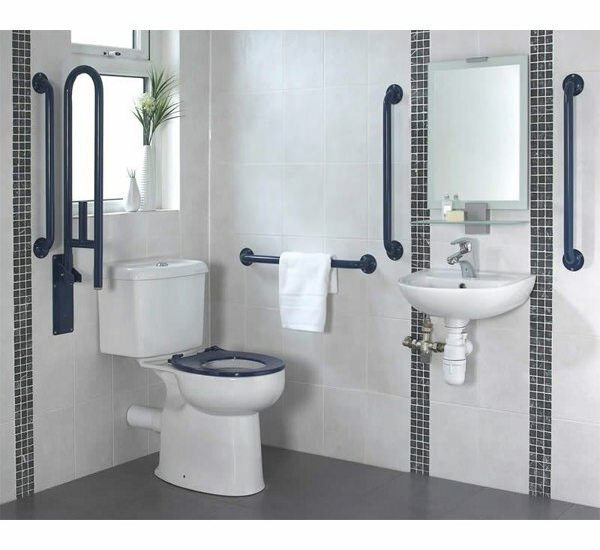 Essential, a company known for manufacturing bathroom products and accessories of exceptional quality, humbly present this Doc M Lever Pack. 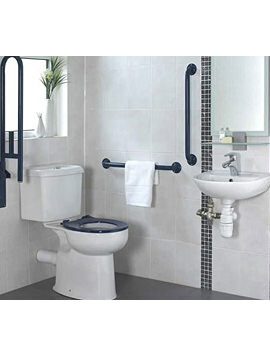 The pack includes: WC pan, cistern, fittings, toilet seat, lever action tap, support rail with toilet roll holder, basin, grid waste and support rails. This white-finished product is backed by a 12-month guarantee from the manufacturer. Pack may vary from the images shown.